You use your truck for more than everyday driving. Your truck is used for hauling, pulling, moving and other heavy duty tasks. Whether you drive a truck in the city or on a farm, you need your truck to be reliable and safe. At Car Clinic and Trucks Too we provide professional truck repair. We’re experienced in repairing and maintaining trucks with automatic or manual transmissions. Our truck repair will keep your vehicle running, hauling and moving year-round. Trucks are usually built to a higher standard of strength than cars just due to the requirements of their jobs. Typically you wouldn't load up your car with a ton of gravel right? Its because of the special requirements that we place on our trucks that we need to make sure we take care of our truck repair with someone who understands trucks just as well as they understand cars. 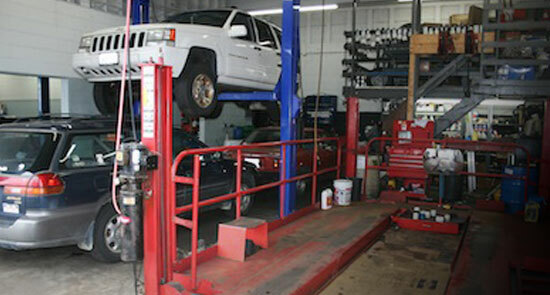 At Car Clinic and Trucks Too, we are careful to promote our affinity for truck repair even in our name. We feel that it is important to let our clients know that we have over 50 years of experience dealing with every type of truck repair imaginable. Your truck has high performance suspension and shocks to help it carry the loads you need it to, and a more powerful engine to provide the power you need. If someone completes your truck repair with standards only fit for cars, you may find that you end up repairing the same component a few days later. Dont trust your ability to complete your heavy duty tasks to truck repair that doesn't have the experience you need with vehicles like yours. Call the Car Clinic and Trucks Too today and let us bring our 50 years of experience to work in getting your truck back to work.